After feeling rather burned out and then not being able to get myself back on track, I started to wonder if there was any science behind the phenomena of burnout. There is. Lots of it. Apparently, I’m not alone. While some of this doesn’t resonate, enough does. The whole being in control thing is a big deal for us Type A personalities. And I have a lot of control at my day job. It may not be my life’s calling, but I’m good at it. Writing, on the other hand . . . I have no control over it at all. Despite the hours I’ve poured into both reading and writing, the classes I’ve taken, and the books I’ve read, I have no control. I’ve been working on this for the majority of my life, yet I keep walking away from it. Because no matter how much work I put into it, I have no control over the results. Self-publishing has changed some of this, but I still have no control over the success or failure of a book. Then there’s the hard truth about branding and social media presence that goes along with being an author. I was not on any social media until it was driven home to me that I had to be in order to be an author. I don’t like social media. I avoided it for years for a reason. So the whole line about responsibilities matching your true calling… Maybe I’m meant to be a writer, but I’m most assuredly not meant to be a social media personality. I can honestly say yes to all three of those. The article also says when you are truly burned out, you can no longer function effectively on a personal or professional level. So, at least I’m not totally burned out. I mean, I can still function at work at with my family. 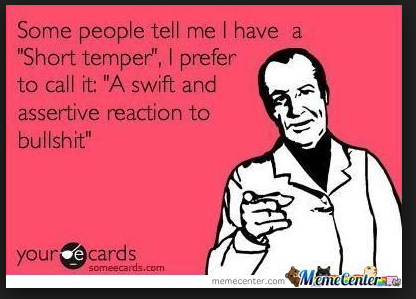 Sure, I’m a bit more short-tempered lately, but I can function. The article does say burnout doesn’t happen all at once, that it creeps up on us though it does give us some some signs. I went through the list and noted several below, but it’s hard to parse out what’s just a part of life and what isn’t. 1.Chronic fatigue. Okay, so what modern American doesn’t this apply to? Especially a working mom with a toddler? 3. Forgetfulness/impaired concentration and attention. I blame Twitter for this. 4. Physical symptoms. They include a list of things to look for, among them headaches, but it’s hard to know the difference between normal migraines and burnout induced ones. 5. Increased illness. Children are walking, talking Petri dishes. The moment I see the sign up at daycare that some new disease is sweeping through the center, I know it’s coming home with me. 6. Loss of appetite. This is one thing I’d actually take. I’ve been on the other side of this lately with increased appetite. 7. Anxiety. I am a Type A personality. When am I not anxious or worried about something? 8. Depression. Nothing really to say here. While I don’t think I’m experiencing it, it’s too big of a deal to make a snarky observation. 9. Loss of enjoyment. Here we go. This is definitely something I am enduring. I just don’t like writing like I used to. Part of it is definitely feeling the need to do things I really don’t like. Like Facebook. That looms over me, steals writing time, and starts to flavor the entire writing experience. 10. Pessimism. Is there any artist that doesn’t feel this way, especially if they haven’t been “discovered” or published? Might even be worse once you are “discovered” as then I’d constantly worry if I was a fraud or not. 11. Isolation. 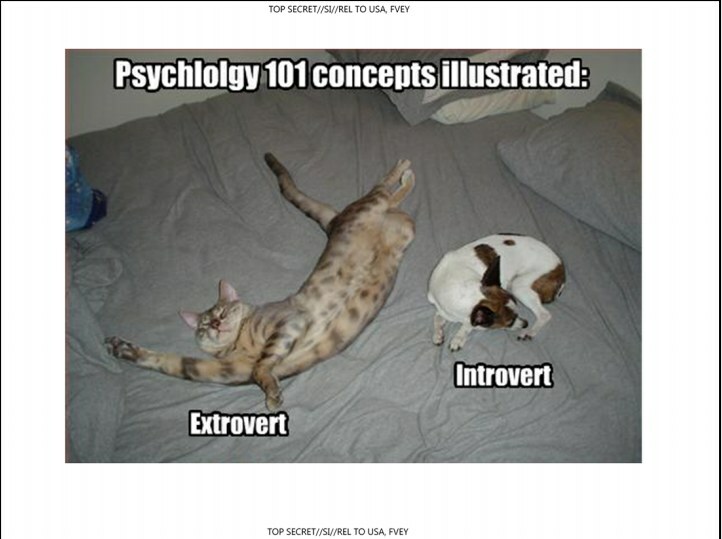 Introvert here. I like people. Sometimes. In moderation. 12. Detachment. Hmmm, I have been feeling more detached from my work. Caring less about the characters. 13. Increased irritability. Remember the two kids I love and would do almost anything for? They are very demanding, and I have been losing my temper more lately. Might be burnout or the result of living with a toddler and preschooler. 14. Lack of productivity and poor performance. My word count has definitely been suffering. As I read through this list, it makes me think what I’m experiencing isn’t such a big deal. 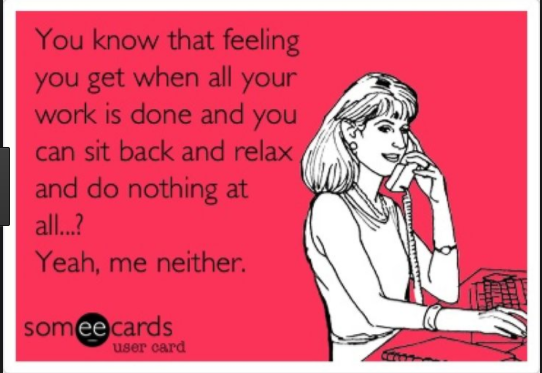 Clearly, I’m on the lighter side of burnout. It’s still real for me, and it’s affecting me. I need to do more thinking on this. Think more about what’s leading to burnout and what I can control. Control. That, I believe, may be key. How about you? Any of these describe you? Ever felt burned out before? What did you do to combat it? That fever my little one was running? Well, it never went away. I got that “mom” feeling late at night, and I sat up with her listening to her struggle to breathe. My husband thought it might just be congestion, but I was sure it was more than that. I listened to that inner mom voice. A trip to urgent care and several x-rays later, and the doctors determined she has pneumonia. Pneumonia in an adult is bad. Pneumonia in a baby is really bad. So between medicine, breathing treatments, and soothing and comforting her, my muse has gone silent. Not unexpected, really. I have never been as stressed as I was as I waited for the doctors to figure out what was wrong with my baby. Not even when I broke both of my own legs. This will put my outlining skills to the test. And my characterization. And a whole bunch of other writing skills. It also means I’m behind on my day job. I feel bad for my co-workers as this is a really busy time of the year for us, but evening logging in from home, there is almost nothing I can accomplish while tending a baby this sick. We’ll figure things out. It looks like she’s going to be fine, and at the end of the day, that’s what matters most. I have been super excited about my new project. Characters are alive, the story is taking shape, my outline is already 9 pages long as I include snippets of dialogue and other key points as they pop into my head. Sure, a bunch of it will get cut and reworked, but it’s been heady. A taste of what made me love writing. And then our baby got sick. She’s been running a fever of 101-103 (with Tylenol) for three days as I write this. At day 5, the doctor wants to see her (but not before, as he says little ones sometimes go through this, especially little ones in daycare). I had to take off of work. My husband had to take off of work. You’d think a day home would have seen some writing done, but a sick baby allows no time in front of a computer. She needs to be held, comforted and cuddled. She’s a baby. She’s sick. She hates being sick, and she’s mad as hell about it. And she lets you know. Constantly. One of us has to be dedicated to her while the other deals with the rest of the things a household requires. Food. The other kid. Laundry. Dishes. Recycling. That’s just the few my sleep deprived brain can name that needed doing this morning. It’s hard enough to deal with a sick little one, but it’s compounded by frustration. Sure, writing isn’t my day job, but its important to me, and I’d finally found this spark of energy. I don’t want to lose this rhythm, this grove. I’m hoping the time I have spent on the outline will see me through. If not, I have to find something that will next time. This isn’t the first or last time that real life is going to get in the way. Things happen in threes, usually bad things. Like the week David Bowie, Alan Rickman, and Glen Fry from the Eagles all died. Yes, I know, humans are so programmed to look for patterns, that we often find them where they don’t exist. Doesn’t mean the universe isn’t laughing at me anyway. My three started after an piece of essential software broke at work. Then someone hit my car in the grocery store parking lot and left it. Finally, the baby decided sleeping at night was for chumps (again). As I am working through these issues, I was excited and ready for a “me” day. A day where I take vacation from work but my children are still in daycare. A day I could spend hours writing without interruption. Maybe even read a grown-up book. A few days before this amazing treat, daycare calls me to come pick up my sick child. 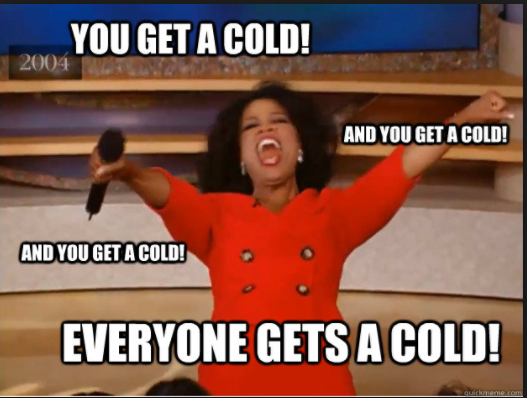 If you have children in daycare for any length of time, you know they get rockin’ immune systems. The kind that laugh at most germs because they’ve seen soooo much worse. I hoped it was nothing as sometimes daycare errs on the side of caution. I picked her up and brought her home, tucking her onto the sofa with some television where she promptly fell asleep. Uh, oh. She was sleeping through TV. Not just any TV, but My Little Ponies. She must be really sick. By the next day, she was all but bouncing off the walls to go back to “school”. I thought we were in the clear. Just a little bug. And then that “little bug” hit me. I spent my day of writing sucking down cold medicine and lying in bed, just glad that I had a few hours to rest before I had to go get the germ bringers from daycare. Looks like it’s going to take a little longer to work through my Roadblock.